The rapper gave the briefest update on his highly anticipated project. 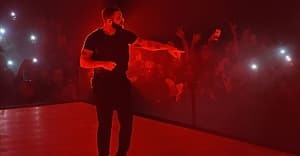 "If I want to make the album I want to make, I have to go find [Noah '40' Shebib]," Drake explained earlier this year. "I have to go sit with him, and we have to really put in effort." There's no word when the results of those efforts, a record called Views From The 6, will arrive. Over the summer, a rep told FADER it would be dropping "imminently." Last night, Drake casually referenced the album at his New Year's Eve Party: "Views From The 6 coming very soon." His last project, If You're Reading This It's Too Late, was a surprise release in February. Read the rapper's FADER cover story.